[Vancouver, B.C. 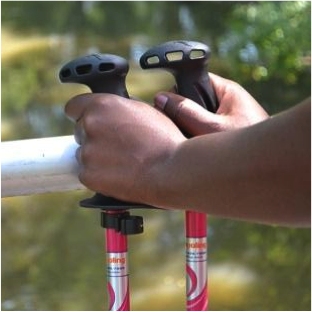 – June 7, 2016]—Urban Poling Inc., a national manufacturer and distributor of Nordic walking poles and accessories, announces the launch of its new CoreGrip (patent pending) handles. The CoreGrip’s new features have raised the bar when it comes to comfort, safety and style. “We’ve been extremely happy with our original handles, but we’re always looking for ways to refine our products and improve the Urban Poling exercise experience for our customers,” says Shintani. Founded in 2006, and one of the first companies to introduce Nordic walking to Canada, Vancouver-based Urban Poling Inc. distributes and designs five styles of high-performance Nordic walking poles, all with ergonomic and easy-to-manage strapless handles. It is the largest Nordic walking pole distributor in Canada and offers the only Nordic walking instructor training program recognized by Canada’s nine largest fitness and health organizations. It sells its products through retailers (including selected Shoppers Home Health and Shoppers Drug Mart stores) and online, and through its 3,500 Urban Poling-certified instructors. 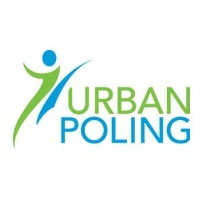 For more information, visit www.urbanpoling.us.